The greatest innovation in contact lenses since the invention of the soft lens is here! If you have ever had dryness or discomfort wearing your contacts this contact lens changes everything! Introducing the Dailies Total 1® water gradient contact lens. This is not just another different brand of soft lenses. This product took 100 experts (scientists, engineers, researchers and optometrists) over 10 years to develop! This is clearly a new era in contact lenses. Alcon, a Novartis company, was striving to create the perfect contact lens. Many believe they succeeded. Introducing the Dailies Total 1® water gradient contact lens. 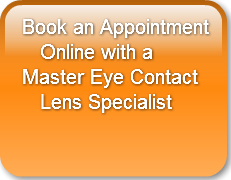 Many people can now say good bye to contact lens discomfort and contact lens dryness. Why is the Dailies Total 1® soft contact lens such an incredible innovation? Dailies Total 1® water gradient contact lenses achieved ratings of 9.6 out of a possible 10 (1=poor and 10=excellent) for comfort during the day in a 4 week clinical study. The same study revealed a 9.2 comfort rating for comfort at the end of the day. 9 out of 10 patients agreed that Dailies Total 1® water gradient contact lenses were so comfortable that they didn’t feel anything. Patients preferredDailies Total 1® water gradient contact lenses 13 to 1 over their current/previous contact lenses! Why are Dailies Total 1® soft contact lenses so comfortable? Fifty percent of patients that stop wearing contact lenses do so because of dryness or discomfort while wearing their lenses. Like other cells of the body cornea cells require oxygen for proper physiological function. Unlike other cells there are no blood vessels supplying the cornea so oxygen is derived from the atmosphere and the tear layer of the eye. To achieve high levels of oxygen transmission through a contact lens (breathability) most new contacts use medical grade silicone due to its high oxygen transmission. However, silicone is inherently hydrophobic (repels water-NOT water loving). The surface of silicone tends to remain dry. High levels of oxygen transmission are important to prevent red eyes, dryness and small gradual increases in myopia (nearsightedness). Unfortunately the dry silicone surface creates discomfort and awareness when the eyelid moves across the dry surface. Contact lens manufacturers have overcome the problem by using various additives or surface treatments to reduce the dryness of the silicone surface. That certainly helps the situation but still leaves many patients with some level of dryness and mild lens awareness or discomfort. The problem is further exacerbated because as most people get older, starting as early as age 30, the surface of the eye gets drier and many people develop dry eye disease. Combine that with menopause and lots of close work (reading, computers, cell phones), which causes us all to blink less and dries our eyes even more, and you have an uncomfortable contact lens environment. Make the core of the lens silicone and the outer surfaces as close to 100% water as possible. That innovation was unheard of until now! The first and only water gradient contact lens is here! Dailies Total 1® water gradient contact lenses are made with the inner core of high silicone and 33% water to allow high breathability to maintain white, healthy looking eyes and proper corneal physiology. In fact Dailies Total 1® water gradient contact lenses have the highest oxygen transmission of any one day disposable lens in the world. However, the surfaces of the lenses have NO silicone, which eliminates the inherently dry silicone surface. The outer surfaces of Dailies Total 1® water gradient contact lenses are over 80% water, which is about the same as the cornea itself and actually approaches nearly 100% water at the very outermost surface! This high silicone in the inner core makes Dailies Total 1® water gradient contact lenses 6X more breathable than the leading daily disposable lens. The outer surfaces made of high water and virtually no silicone provide Dailies Total 1® water gradient contact lenses with the highest lubricity of all contact lenses on planet earth! What is lubricity you ask……..
Lubricity is the opposite of friction. High lubricity makes objects glide more easily across a surface (“makes them slippery”). As one would assume there is a gliding or sliding movement of the eyelids across the outer surface of the eye. A contact lens alters the friction during blinking and changes the feel of the blink. A contact lens with high lubricity means the eyelids can slide easily across the surface of the lens. Since the average person blinks about 14,000 times per day it is certainly easy to understand the importance of a contact lens surface that has high lubricity. A leading contact lens researcher states “The principal lens property associated with end-of-day comfort is coefficient of friction (lubricity).” Dailies Total 1® water gradient contact lenses have the highest lubricity of any lens in the world. Newest generation of LightStream® Lens Technology enables the creation of the water gradient. Although the lens is only available in the above parameters right now, it is expected that Alcon will manufacture other lenses such as torics (for astigmatism), plus powers for hyperopia (farsightedness) and possibly even multifocals in the future. First and only water gradient contact lens featuring an inner core of silicone and 33% water transitioning to an outer surface of 80% water creating a highly wettable surface similar to the cornea itself. “Wettability” refers to the ability of the tear film to cover and maintain itself over the contact lens surface. The core of the lens is made of a silicone hydrogel material with low water content to deliver the highest oxygen transmission of any daily disposable contact lens, Dk/t=156 @ -3.00D. The outermost surface of the soft lens is made of an ultrasoft hydrophilic gel that provides the highest lubricity of any lens in the world. Lubricity is proven to be highly predictive of contact lens comfort. This lubricity stays with the lens surface all day long. As you probably expected Dailies Total 1 soft lenses are slightly more expensive than other one daydisposable lenses. Most agree they are worth the extra cost. I predict that all soft lenses will be made like this in the future. Until then you can experience comfort like never before with Dailies Total 1® water gradient contact lenses!